On November 14th and 15th, OKWU hosted noted apologists from across the nation at the inaugural conference of the Josh McDowell Institute. With reporting from Tulsa World’s Bill Sherman. Sean McDowell, son of Josh McDowell, spoke on equipping young people with a Christian worldview. “We are failing to prepare our students ahead of time for the assaults and challenges on their faith that get presented during the university years,” he said. Other speakers at the conference included Reverend Alex Himaya, pastor of Church at Battle Creek in Tulsa, and Abdu Murray, an attorney and former Muslim from Michigan. To view the speakers in action at the conference, visit OKWU’s Youtube channel. According to OKWU President Everett Piper, the University is instilling a worldview in students like the one Josh McDowell emphasized. “We’re promoting the education of the Body of Christ, the church, in how to think through its faith in a post-modern—and what many would say is a post-Christian—culture,” he said. Piper added that apologetics is “not saying you’re sorry for the faith” but an intellectual defense of the faith and the Christian world view. OKWU, a University that touts itself as a place “where Jesus is Lord”, wants to “engage culture…go into the town square and have a gracious but robust exchange of ideas, and trust that the truth will win,” said Piper. The Josh McDowell Institute honors its namesake’s legacy as one of the main apologists within the last 50 years. 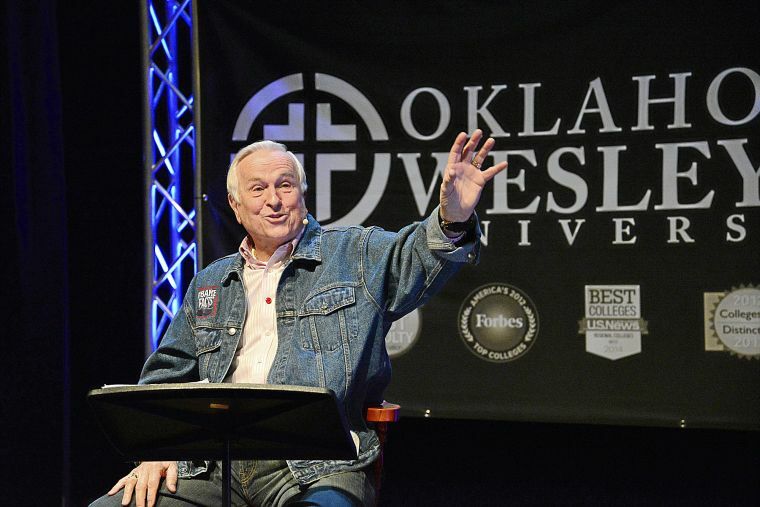 Currently, OKWU is the only institution to which Josh McDowell has given his name. The University also houses the Josh McDowell Institute and Josh McDowell Legacy Library which includes every book he has written as well as more than 8,000 of his sermon manuscripts. OKWU’s vision for the Josh McDowell Institute is to develop a Master of Arts degree in Theology & Apologetics and will continue to bring the world’s most distinguished Christian thinkers and leaders to its campus each semester. Piper says the institute will be a place to “think, debate, and talk about ideas that matter.” Top national leaders in the apologetics movement have already expressed their interest. OKWU is determined to help recapture a culture that is increasingly hostile toward the Christian worldview and is committed to help prepare their churches and families to more effectively carry out their Christian responsibility to win the hearts and minds of those they love for Christ. Whether it be in apologetics, in academics, or in athletics, Oklahoma Wesleyan is passionate about pursing Christ in every realm. To view Conference sessions from The Josh McDowell Institute Conference, visit OKWU’s Youtube channel.